This jacket comes in an XS-L, as well five different colors. 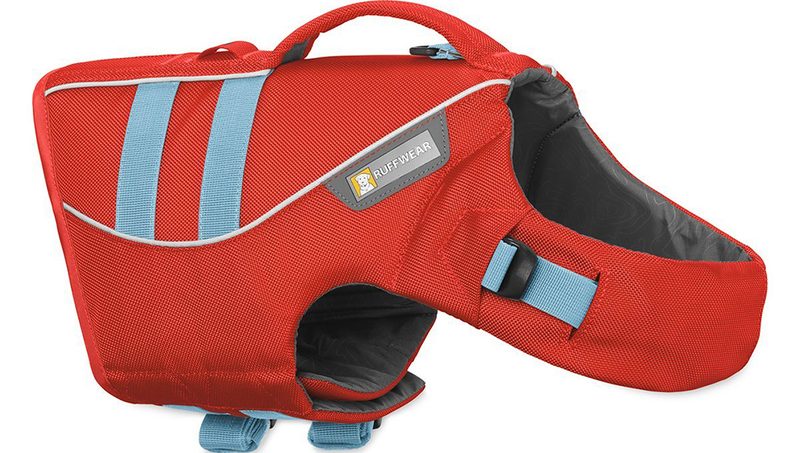 It is highly rated for ease of wear and comfort for your pup, while providing top-rated safety features. 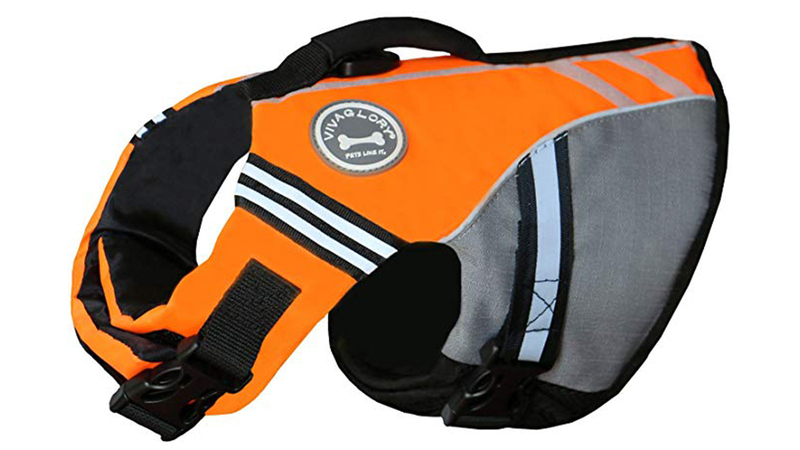 The bright orange color of this jacket provides high visibility while being available in size XS-XL. This jacket is high quality and at a great price. 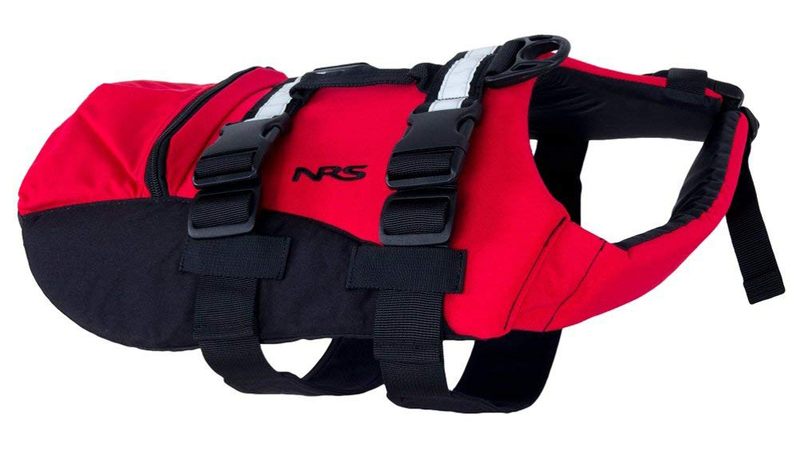 The vest features double buoyancy for additional flotation features. Comes in XS-XL. 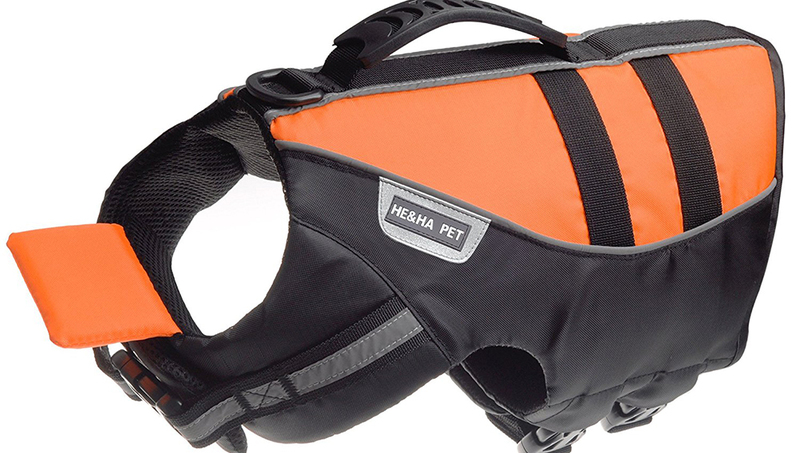 This jacket ranks as the most expensive on our list, but seems to be long-lasting and comfortable for your pup. 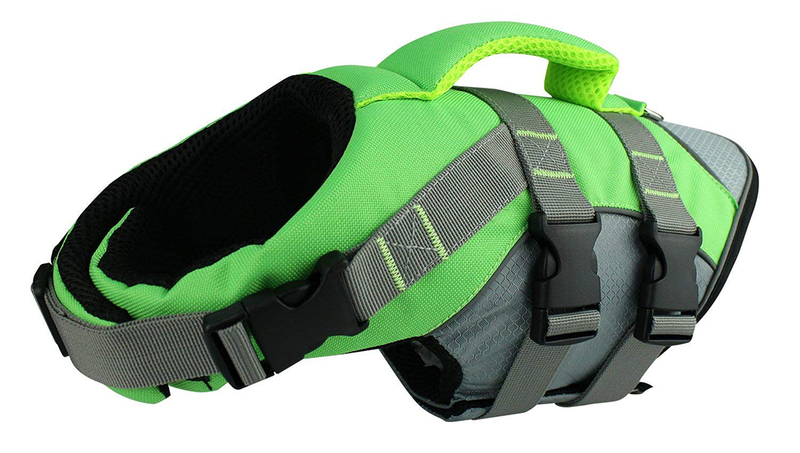 It comes in a variety of sizes and colors, and allows for adjustments if your dog is between sizes. A great price and good quality, this jacket is highly rated. However, we’ve been cautioned they do run a bit small, so sizing up may be appropriate. Comes in three colors and sizes S-XL. 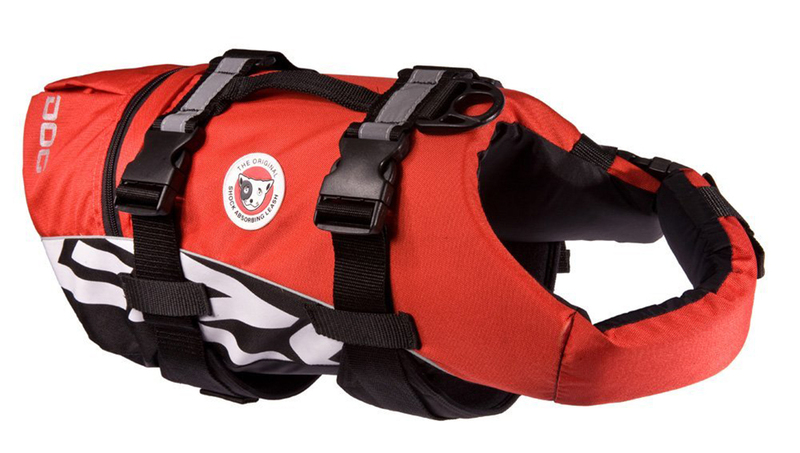 Made of neoprene, this jacket offers a sleeker fit that is often more comfortable for bigger dogs. Sizes M-XL. 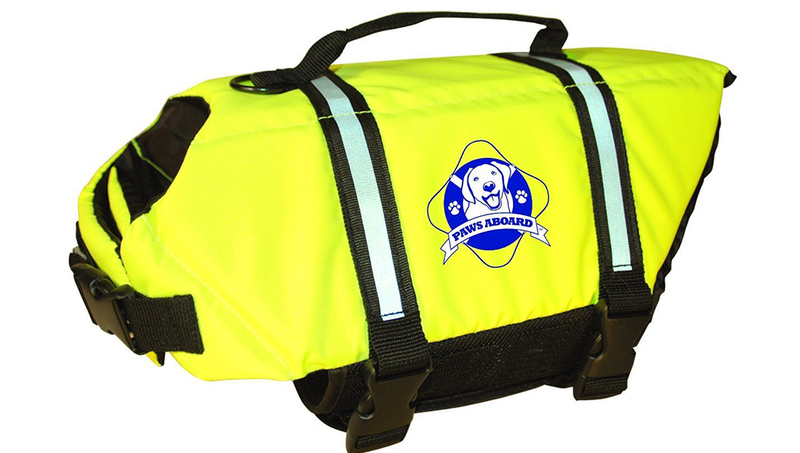 With a storage pouch and reflective tape, and is durably made. Comes in XS-XL, and is bright red for visibility purposes. 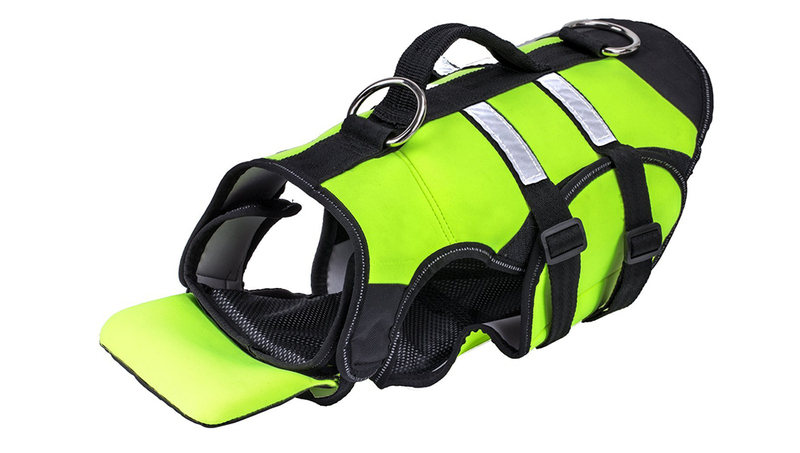 This vest has a sporty look, comes in three colors and runs from an XS-XL. 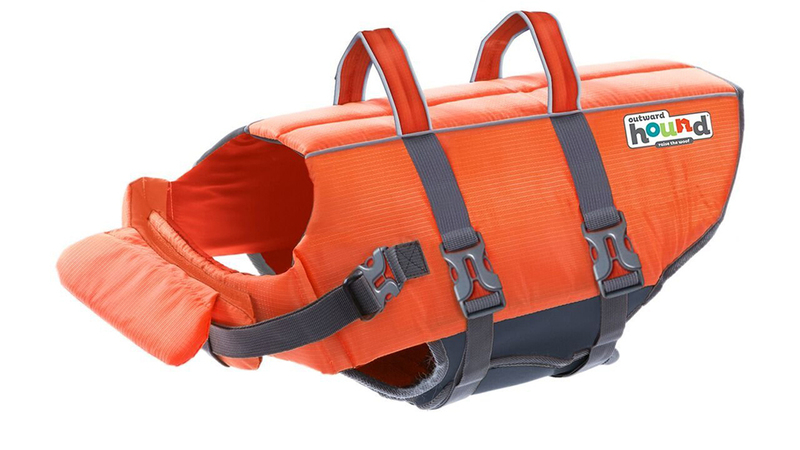 The life jacket has been designed and tested to be the most comfortable for your pup. Another neoprene material, this jacket is sleek and durable. 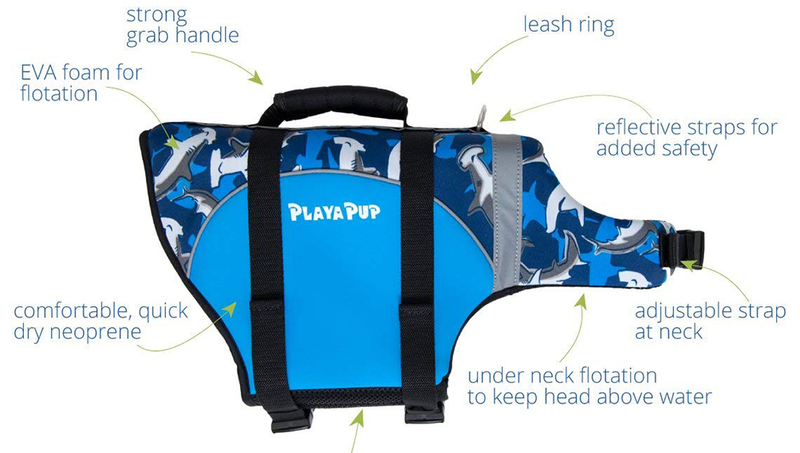 It also features patterns on its 10 different colors, as well as coming in sizes XXS-XXL— meaning there’s one for every type of pup. Complete with an adorable emblem on its side, this jacket is as durable as it is cute. Comes in sizes XXS-XL as well as four different colors.